Product code: 1356 Categories: Sold Items, Sold Rings. 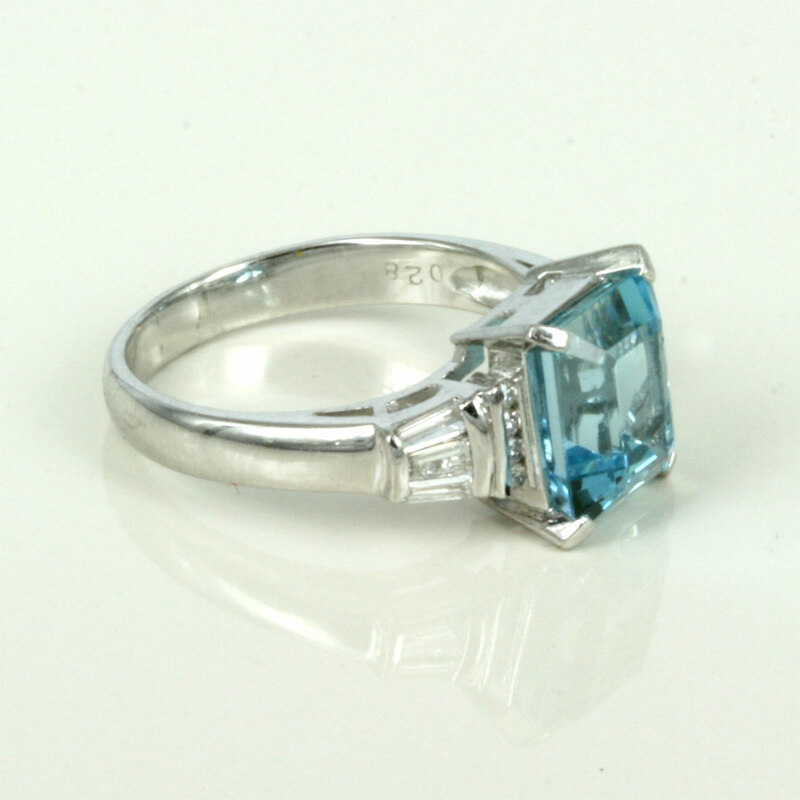 This is a very elegant and stylish aquamarine and diamond ring that is made in platinum. Claw set with a very beautiful aquamarine that is the most wonderful soft blue, the aquamarine measures 3.18 carats, and looks perfect against the white of the platinum. Giving theis ring some extra sparkle, it is set with 4 round brilliant cut diamonds on each side, and 3 tapering baguette cut diamonds on each side of the aquamarine as well. The diamonds total 0.28 carats, and really give the ring that extra sparkle and beauty. A very elegant ring for any occasion.